Learn about another option for saving. Hardly a day goes by without some news story telling us how hard it is for young people these days: youth unemployment is up, young people are struggling to own a home and so on. For the parents amongst us, this naturally ignites the urge to do whatever we can to help our children and prepare as best we can to set them up for the future. There are many ways to help your kids out and many of them you will no doubt do as a matter of course, such as helping them with their homework to give them the best chance of doing well in education or driving them to all those hobbies and friends’ houses. However, we can’t deny that preparing for their financial future is just as important as supporting them educationally and socially. 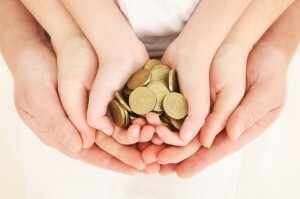 Saving money now for your children’s future can help to give them an excellent head start when they enter adult life. After all, things cost money, and that is something not many young people have a huge amount of. Everything from university to learning to drive to finding the money to pay for a house costs a significant sum and, while some parents believe that it’s their children’s responsibility to sort out their own futures once they’re old enough, many more want to do whatever they can to help them financially. One good option for parents looking to save for their children’s futures is an ISA. There are two types: cash ISAs and share ISAs. A cash ISA allows you to save less money but all you save in the account is guaranteed. You can access your account whenever you want to and that makes it popular with lots of people. A share ISA allows you to save more money and can be appealing for those who are looking to maximise tax-free savings. A stocks and shares ISA is a type of investment and, because it involves investment, there is a risk attached to it. However, if you start saving into your shares ISA when your children are very young, there is every chance the market will grow as your kids grow up, meaning that the money you invest should grow, too. This money can then be used however you see fit, whether it is to pay specifically for their education so they don’t have to worry about university debt or to pay for something else entirely. It’s worth looking around to make sure you choose the best stocks and shares ISA for your needs; for instance, some come with lower levels of risk than others, so if you are worried about that part of the investment, it could be something to consider. Some cover higher risks and could be considered by those who already have experience in stocks and shares. Overall, it might be a clichÃ© to say it but our children really are our future and some things are worth the risk. It makes sense to do whatever we can to set them up to succeed and, while finances aren’t the whole story, they really do matter. Saving money with shares ISAs now could make a massive difference to your children’s lives in the future.